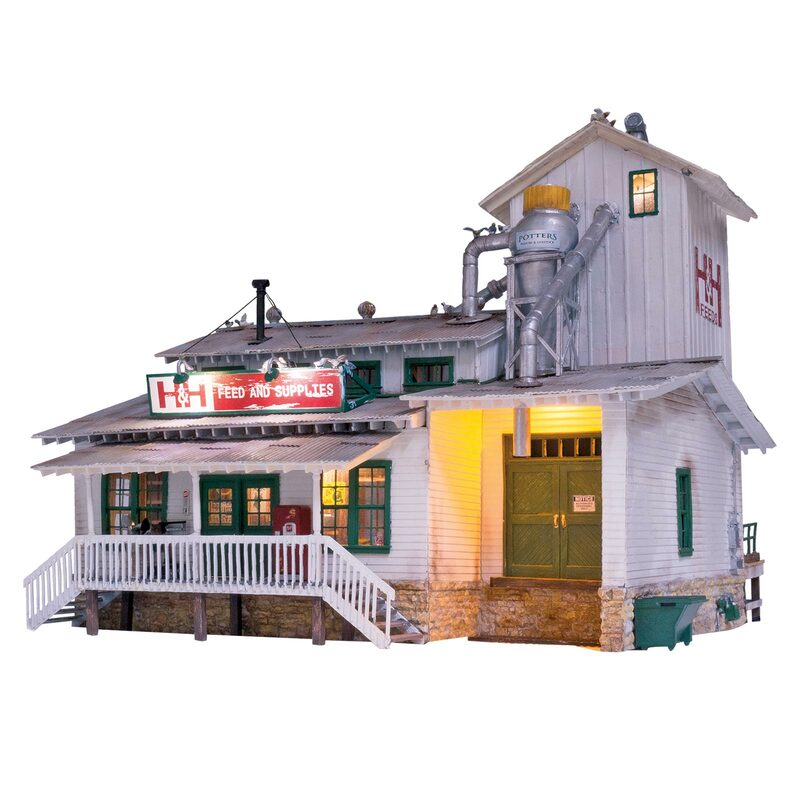 The H&H Feed Mill is Woodland Scenics' most lit building yet, with two sign lights, a silo light, one interior light to show off the printed interior, a light in the dumping area, and one light for each dock, for a total of seven Just Plug LEDs! This structure is authentically weathered and hand-painted down to the finest details. 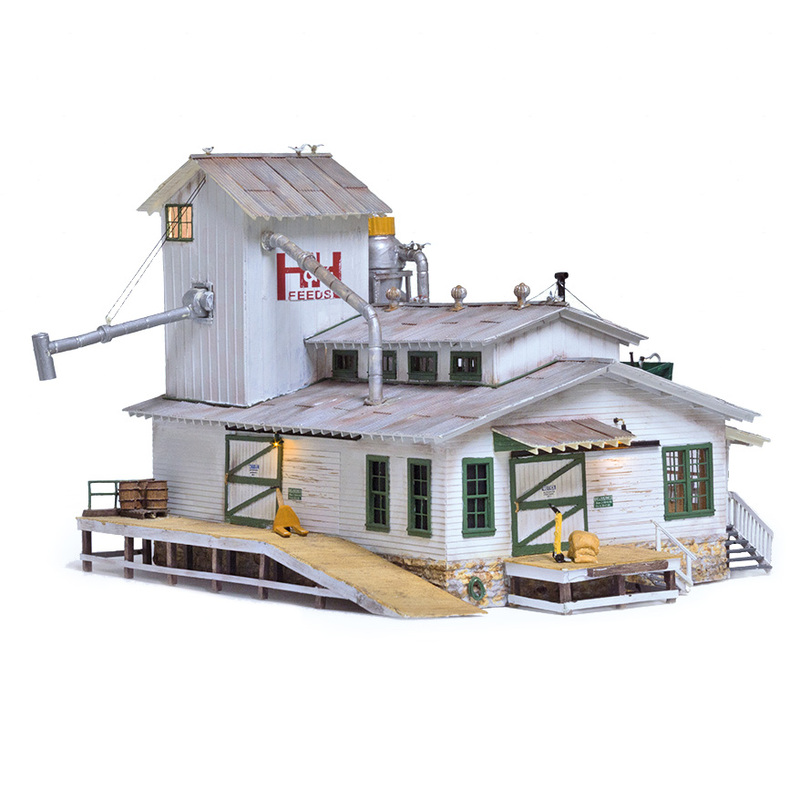 These details include a positionable grain chute, a cyclone above the dumping area, a large back dock, with a smaller side dock, and other outdoor accessories on the front walk. Woodland Scenics no. BR5859.